School of Electronic Music students are able to get an instant online decision to fund training through our partner Omni Capital. Students can apply for the full amount of course fees and choose an affordable monthly repayment that suits their budget. You can choose any course start date to apply for finance – just note your monthly payments will begin 1 month after your finance acceptance. Finance is available on all courses over £250, with the option to spread payments between 6 – 48 months. Student finance is 0% for plans up to 12 months, and 9.9% for plans over this. Other benefits of student finance are that the baseline course price is based on our ‘advanced’ cheaper price. You also have the right under s94 of the Consumer Credit Act 1974 to repay your loan early in full or in part. Read the FAQ for more information. Ensure you meet the eligibility requirements. Check your credit file with Experian, and ensure you are on the electoral role at your current address. 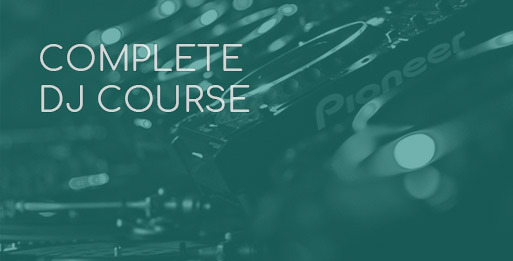 Enrol on your chosen course, selecting the finance option that suits your budget. Once you have completed the form you will receive an email confirming you have registered. You will be taken straight to the Omni Capital finance application. Complete the online application, digitally signing with an ‘eSignature’. You will receive a finance decision within 10 seconds. If approved, you will be prompted to pay the agreed downpayment which can be paid by debit or credit card. Your monthly payments will then begin from the month after acceptance. Omni Capital have a credit score system that delivers high acceptance rates when compared to the high street banks and mainstream financial institutions. If you choose to take finance with Omni Capital you are bound by their terms and conditions and they are your point of contact should you wish to discuss the agreement. You must be 18 or over, and have been living in the UK for at least 3 years before your course starts. Student finance is 0% for plans up to 12 months, and 9.9% for plans over this. You will need to pay a minimum 5% downpayment on the course fees at the point of successful application, although you have the option to make anything up to a 50% deposit downpayment on course fees. Before applying for your finance, we strongly advise ensuring you are on the electoral role at your current address, and that you have pre-checked the information on your credit score held by experian.co.uk. A SEM course advisor can further customise the student finance and downpayment to help find the right finance package for you. If you have any questions or would like to apply for the student finance in the school rather than online, we will be happy to help. Contact us on +44 (0)161 833 4722 Monday – Friday 10am – 6pm or please email the school. Once you have decided on the course you are applying for, make a note of the course fees. There is a minimum of 5% non-refundable deposit (downpayment for the course fees) required from the student at the point of successful application. The calculator will tell you minimum deposit required on the right hand side. SEM have spent a long time looking into the best finance options for our students, and we are confident that Omni Capital are the best for student’s requirements. Omni Capital have a credit score system that delivers high acceptance rates when compared to the high street banks and mainstream financial institutions. 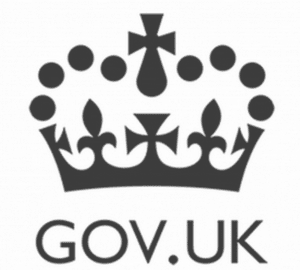 Omni Capital are authorised and regulated by the Financial Conduct Authority (FCA). You can find them on the the Financial Services Register under number 649286 (www.fca.org.uk/register). Omni Capital Retail Finance Ltd.s Data Protection Register number is Z3048845. Omni Capital has developed a credit score system that delivers high acceptance rates when compared to the high street banks and mainstream financial institutions. You must be 18 or over, and have been living in the UK for at least 3 years before your course starts. You must have a permanent UK resident and able to supply a UK address history for the last 3 years. Your course start date that you are applying for must be starting within the next 3 months (or less). Finally, check the ‘Reasons for potential problems with your finance application‘. If you meet this criteria, once you have submitted your online application, your details will be assessed and you will quickly receive an approval or refusal of finance. Occasionally, applications will be held for manual assessment, but should this occur you will be notified by email of the decision within a few hours. To give yourself the best chance of approval, always ensure that the information you give on the application is accurate and honest. Before applying for your finance, we strongly advise ensuring you are on the electoral role at your current address, and that you have pre-checked the information on your credit score held by experian.co.uk. Companies use the electoral register to confirm that customers are really who they say they are, if you are not registered make sure that you do it before applying for a loan. If you are registered then make sure your details are up to date. Though this removes the likelihood of a bad credit score dragging you down, a zero credit score can be bad too. This is because lenders cannot be sure that you will pay them back regularly or on time as a credit check is not going to prove or disprove it. Speak with a course advisor who will be happy to advise you on addressing this. Credit reporting errors are more common than you think and they can easily prevent you from getting a personal loan. According to a study from the Federal Trade Commission, one in four consumers has found at least one error in their credit file. Speak with Experian as they may be able to rectify errors. For obvious reasons, high value debts are another turn-off to lenders. To improve your chances of being successful in your loan applications you should close any unused credit card accounts and do everything in your power to reduce and clear your debts. If you are unsure and would like some advice please speak with a course advisor who will be happy to help you. Contact us on contact@semmanchester.com or via +44(0)161 833 4722 between Monday – Friday 10am – 6pm GMT. What if I am not eligible for student finance? It is common, for example, that students from the European Union may not have lived in the UK for 3 years and therefore not be eligible for student finance. Do not worry! If you do not meet the criteria for student finance but would still like to study with us, please contact us on contact@semmanchester.com or via +44(0)161 833 4722 between Monday – Friday 10am – 6pm GMT. A course advisor will be happy to advise you on other routes to studying with us. Will Omni Capital check my credit file? Omni Capital are a responsible lender, and would never like to see our students struggle financially. Therefore they will check your credit file to help understand and to see if they can offer you student finance. Omni Capital refer to credit information held on you with Experian. We strongly advise checking your own credit score before applying to ensure all the details on it are correct. Can I Still Get Finance If I’ve Previously Been Declared Bankrupt / Had an IVA? Whilst Omni Capital understand that sometimes these things happen and are out of your control, unfortunately Omni Capital Retail Finance Ltd. do not lend to customers who have previously been made bankrupt or have been in an IVA. Please contact the SEM Office on contact@semmanchester.com or via +44(0)161 833 4722 between Monday – Friday 10am – 6pm GMT. A course advisor will be happy to advise you on other routes to studying with us. Credit scoring is a system that most reputable lenders use, when deciding whether or not to give you finance. Omni Capital Retail Finance Ltd. use the information that you provide on your application; such as your age, job title and any existing financial commitments you may have. They also make use of credit reference agencies to see your history with other lenders. These all go together to make your credit score. Omni Capital Retail Finance Ltd. assess each request on a case by case basis. If you have had any financial problems in the past, let Omni Capital know during the application process. What if I am declined for finance? Don’t worry – we still want you to study at the School of Electronic Music! Although this finance route may have been declined, there are other options and routes for you to fund your training with us. Please contact the SEM office on +44 (0)161 833 4722 or via contact@semmanchester.com. Our office hours are Monday – Friday 10am – 6pm GMT. We will look at the next steps to ensure you can get onto the training and start date of your choice. contact@semmanchester.com or +44(0)161 833 4722. Our SEM Office hours are Monday – Friday 10am – 6pm GMT. Contact Details for Omni Capital Retail Finance Ltd. Your monthly repayments will be taken by direct debit every month. These payments will generally begin one month after you receive confirmation details (usually when you book the course). Can I Make an Early Settlement? Yes. You have the right under s94 of the Consumer Credit Act 1974 to repay your loan early in full or in part. Simply write to Omni Capital Retail Finance Ltd., or call them, and they will let you know how much you need to repay. All settlement figures and the date which to pay by are all calculated in line with Consumer Credit Act. What Should I Do If I Struggle To Make Payments? First of all, don’t worry. Call Omni Capital Retail Finance Ltd., immediately. Omni Capital have been operating for many years now and understand that people, through no fault of their own, can have trouble repaying a loan. Omni Capital will do their best to help, but will need to speak to you before the payment is due. If you need to take a small ‘payment holiday’, let Omni Capital know and they may be able to help, don’t leave it too late. If you should miss a payment, then a member of the Omni Capital Retail Finance Ltd. will contact you to arrange a suitable repayment plan. Can I Trust Omni Capital Retail Finance Ltd.? SEM have spent a long time looking into the best finance options for our students, and we are confident that Omni Capital are the best for student’s requirements. They are authorised and regulated by the Financial Conduct Authority (FCA). You can find them on the the Financial Services Register under number 649286 (www.fca.org.uk/register). Yes, Omni Capital Retail Finance Ltd. uses proven online security techniques that ensure your personal information is secretly encrypted before transmission to make sure that it cannot be viewed by any unauthorised parties. For security measures they may require a proof of ID after your application has been approved. Basically, interest rate is the charge for getting credit, it is usually expressed as an annually percentage (see APR). APR, or Annual Percentage Rate, is the amount of interest you’ll pay annually averaged over the full course of the loan. All you need is good pair of headphones. Please contact the school if you require any advice. If you have any cause for concern, please contact Omni Capital in the first instance, they pride themselves on customer care and will strive to make things better for you if they can. Consumer credit service provided by Omni Capital Retail Finance. Omni Capital Retail Finance is authorised and regulated by the Financial Conduct Authority, licensed by the Office of Fair Trading and a member of the Finance & Leasing Association. For more information please visit www.omnicapitalretailfinance.co.uk or contact 0333 240 8318. There are several grant bodies that may be able to provide you with funding or a bursary to study with us. Turn2Us.org.uk are a charitable service that helps people access the money available to them through welfare benefits, grants, and other help. Grants can be awarded for different personal circumstances – if you have a social worker they will be best placed to understand what funding may be available for you. The Princes Trust are also worth approaching if you are between 14 and 25 and are either long-term unemployed, homeless, or a single parent. The Princes Trust award over 5,000 people £500 towards tuition every year, call 0800 842 842 for more details. The MOD’s Enhanced Learning Credits Scheme (ELC) promotes lifelong learning amongst members of the Armed Forces. The scheme provides financial support in the form of a single up-front payment in each of a maximum of three separate financial years. 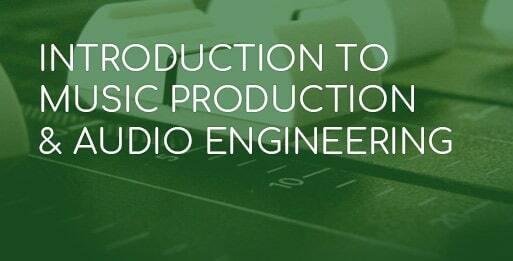 ELCAS funding is available for our HNC in Music Production. The Isle of Man Department of Education and Children provides financial support for students undertaking further or higher education, subject to meeting certain eligibility criteria. 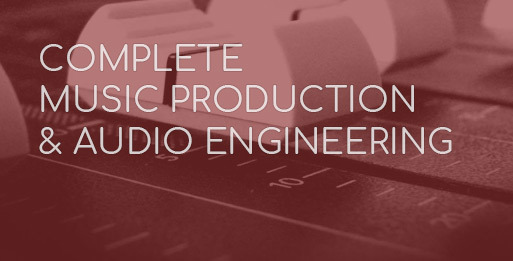 Grant funding is available for our HNC in Music Production. Speak to a course advisor who can advise you on how to fund your course. Thanks to all the staff for being such a great help when i was at school of electronic music. I really appreciated all the work and connections you helped me with, I’m really grateful and now how a wealth of knowledge. …I’ve had a look at a few of the courses on the website and have had a tour of the studios by Ben, I was super impressed and signed up to the 12 month music production course – 3 months in and I’m loving it!